HSEE is organized by the Indian Institute of Technology (IIT), Madras to grant admission to its Humanities and Social Sciences programs in the post graduate level. The Humanities and Social Sciences Entrance Examination or HSEE is a national level entrance test conducted every year by Indian Institute of Technology Madras for admission to the master programme offered by the Department of Humanities and Social Sciences of the Institute. The test is completely computer based and is usually conducted in the second or third week of April in various cities across India. The HSEE started in the year 2006 coinciding with the launch of the M.A. programme at IIT Madras. This is the only test of its kind, which admits students to a five year integrated masters programme in humanities and social sciences subjects offered by an IIT. The 5-year integrated Master of Arts (M.A.) programme is designed to meet the needs of students who seek a broader learning forum and who appreciate the unique design of inter-disciplinary studies. The programme encourages students to engage in critical thinking and research on ideas, people, society, environment and the human condition. The total number of seats sanctioned for the programme is 46. HSEE-2018 is intended to admit students to this programme in two streams: Development Studies and English Studies. The first two years of the curriculum are common to all the students after which, they branch out into the two streams. Allocation of streams will be based on students’ preferences, their academic performance during the first three semesters, and availability of seats under each stream. Any Public School, Board or University examination in India or in a foreign country recognised as equivalent to the 10+2 system by the Association of Indian Universities. Age Limit: General category candidates are eligible to apply for HSEE 2018 if they are born on or after October 1, 1993. SC/ST/PwD candidates are given age relaxation of 5 years. HSEE Marking Scheme: For every correct answer, aspirants are awarded one mark. There is no negative marking in IIT HSEE. 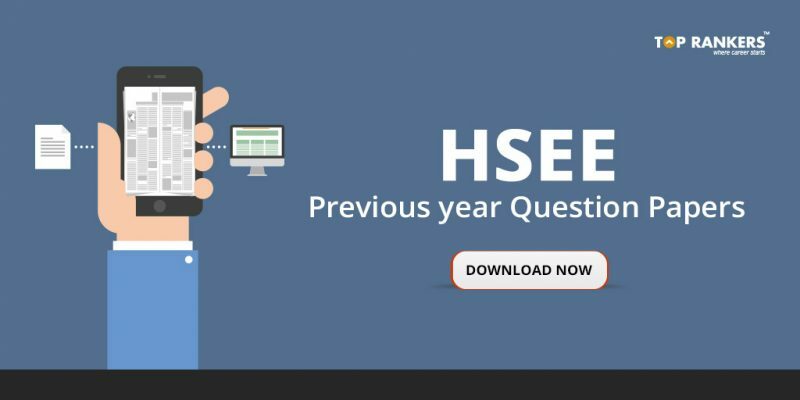 HSEE Question Paper of previous years is available on its official website and we have provided a direct link to download HSEE question papers of past 7 years. The previous year HSEE Question papers are available in PDF format for free download. The year wise list of Past year HSEE Question Papers are given below for free download. Click the link to get the HSEE Question paper for the particular year. HSEE previous year question paper will provide candidates an insight into the type of questions asked, difficulty level of paper, syllabus, weightage of topics, important topics to prepare etc. Aspirants can prepare with HSEE model papers designed on the basis of previous year IIT Madras HSEE Question paper and latest pattern and syllabus. Stay tuned for more updates on IIT Madras HSEE exam. answers where do we get?